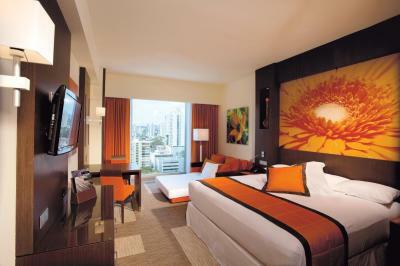 Lock in a great price for RIU Plaza Panama – rated 8.5 by recent guests! 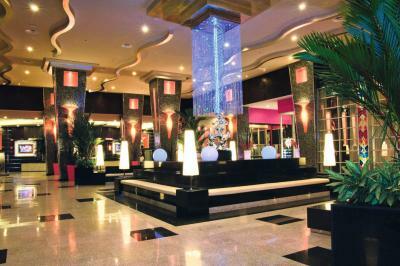 The elegant hotel and rooms and pool staff, kitchen staff and food amazing, and front entrance door man and security. 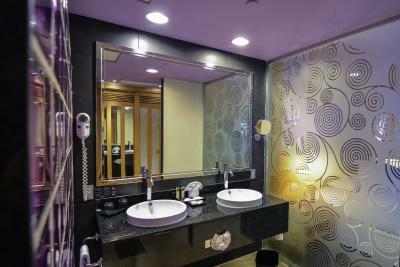 The room was spotlessly clean and nicely furnished. 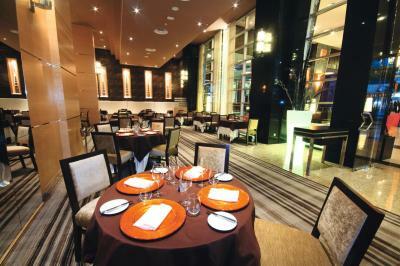 Restaurant was excellent. The included breakfast was better than I expected. Good location . The view of the city from the hotel was stunning. Good service very affordable economical. The parking was a little stressful. morning breakfast was great. dinner and lunch buffet was a little high. Nice fitness center . The breakfast buffer was the best I've encountered in Panama. Freshly squeezed juices were available every morning which is rare to see anywhere. Big selection of food. The room was beautiful and kept very clean. The view was amazing and the location of the hotel made it very convenient to get around. The breakfast was excellent! The location, the breakfast was great and the cafeteria staff. Breakfast was find. 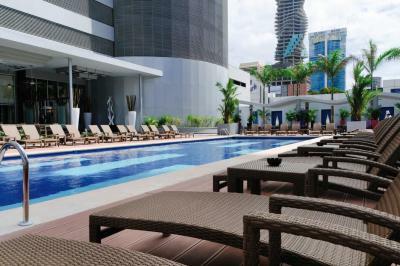 One evening ordered a Cuban sandwich from the swimming pool are restaurant. What was brought was a Club It was close to closing, so I was stuck with the Club. breakfast were amazing, great pool area and hotel overall is beautiful. great views as well. 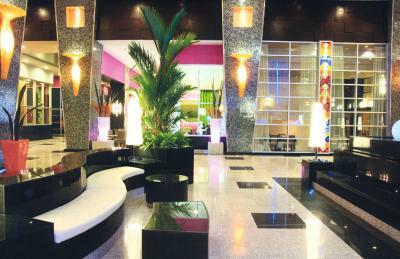 RIU Plaza Panama This rating is a reflection of how the property compares to the industry standard when it comes to price, facilities and services available. It's based on a self-evaluation by the property. Use this rating to help choose your stay! 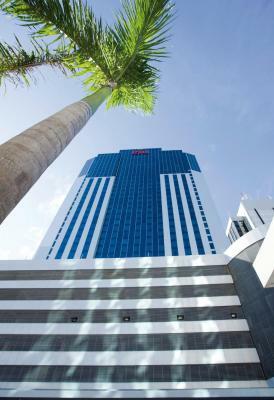 Located in the business district, Riu Plaza Panama offers stylish rooms with free Wi-Fi. 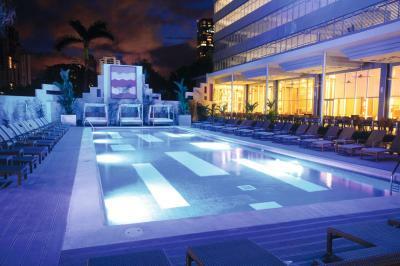 It features an outdoor pool with hot tub and a spa. The Santuario Nacional Corazón de María Church is just 1,000 feet away. 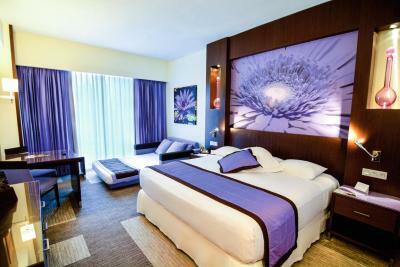 Decorated with colorful flower motifs, each spacious room has flat-screen cable TV and a seating area. Free coffee is available on arrival. Some rooms have city views. 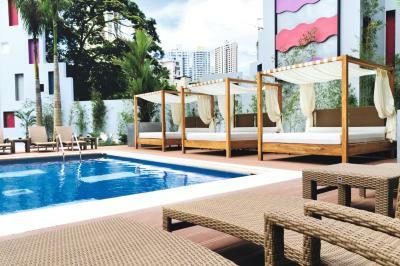 The hotel also has the Sushi Lounge, Arts Restaurant, Studio 50, Capital Take Away and the Ibiza Lounge where you can enjoy drinks poolside. 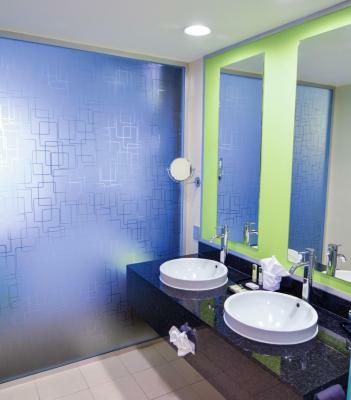 A gym, steam bath and sauna can be found in the Riu Plaza’s spa. 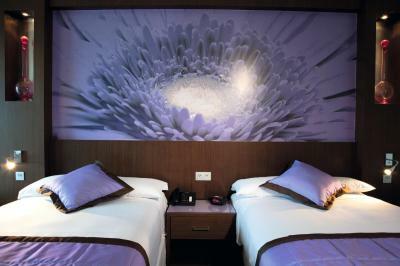 You can also book relaxing massages and beauty treatments; and a conference room is available. Metropolitan National Park is 1.9 mi away. 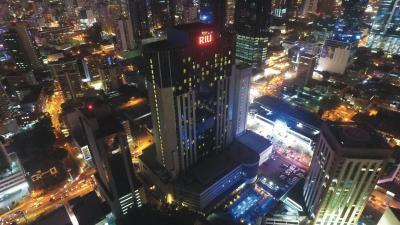 When would you like to stay at RIU Plaza Panama? 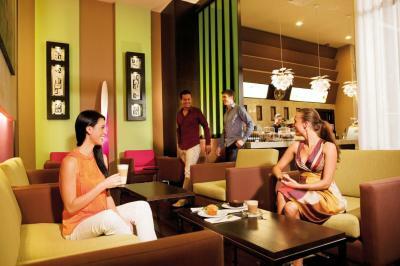 This room has a seating area, a safe, a mini bar, and coffee and tea-making facilities. The bathroom offers free toiletries and a hairdryer. 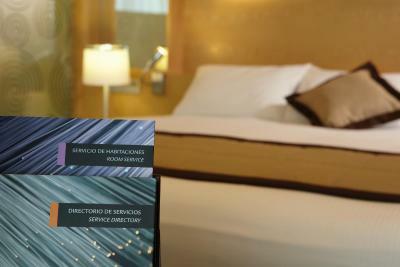 Located on the 31st and 33rd floors of the hotel, these rooms have panoramic views of the city. 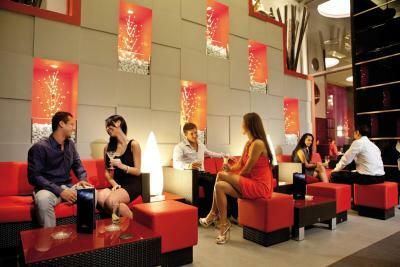 Access to the Crown Level Executive Lounge and 10% off in spa are included. 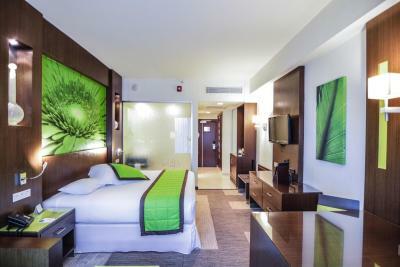 This spacious suite offers a separate lounge, dining area and a guest bathroom. 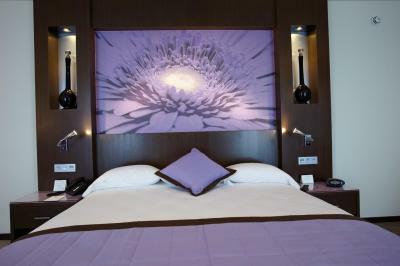 These rooms have panoramic views of the city and access to the Crown Level Executive Lounge. 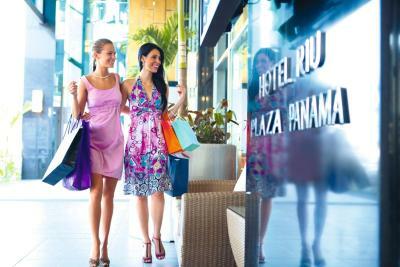 The RIU Plaza Panama hotel is located in the heart of the financial district of Panama City, very close to many banks, shops and shopping centres. The hotel rooms are spacious and include a sofa, desk, free wireless Internet , flat screen TV and fully equipped modern bathroom. 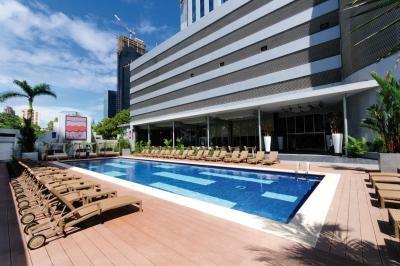 From the upper floors you can enjoy spectacular views of the city. 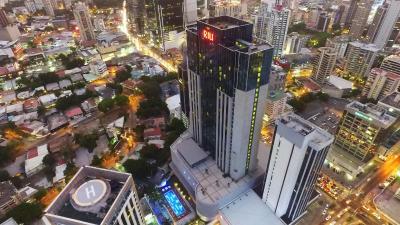 The RIU Plaza Panama has 53,184 sq. ft. (4,941 sq. m.) of impressive conference and meeting rooms. 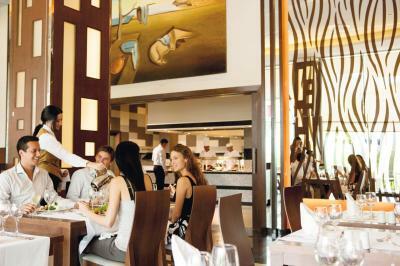 Its 21 event rooms can accommodate up to 1.300 people, and with the help of our amazing professional event planners your group, business meeting or wedding celebration is assured of a rousing success and endless compliments from every guest in attendance. 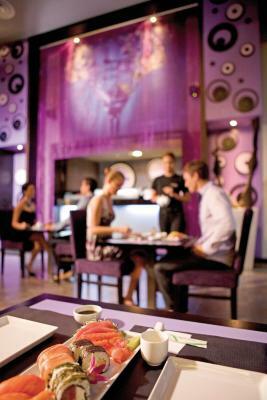 The hotel has a wide range of cuisine on offer: fusion dishes in Tastes Restaurant, as well as the Sushi Lounge, Arts Restaurant, Studio 50 and Ibiza Lounge (in the outdoor pool area). 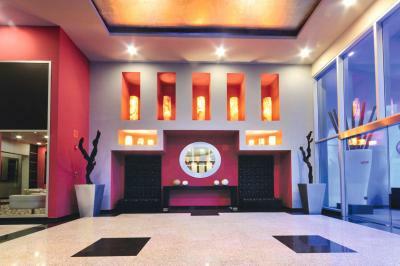 The luxurious complex offers its visitors excellent facilities, such as a gym, a fabulous spa with health and beauty treatments and an outdoor swimming pool with a Jacuzzi-hydro massage. 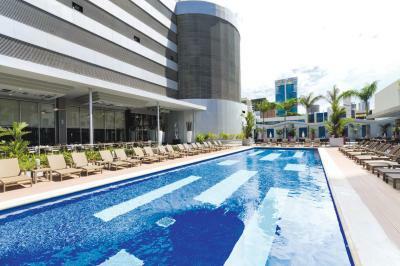 House Rules RIU Plaza Panama takes special requests – add in the next step! One child under 12 years is charged USD 12 per night when using existing beds. 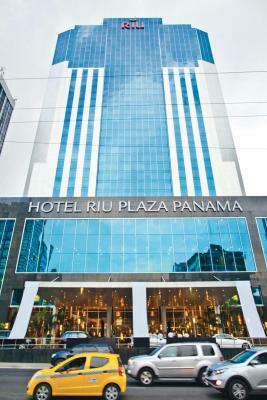 RIU Plaza Panama accepts these cards and reserves the right to temporarily hold an amount prior to arrival. 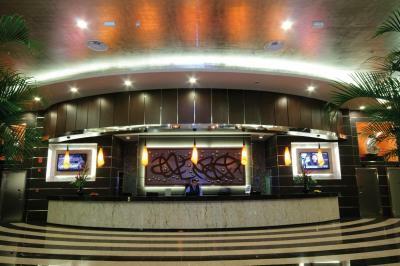 Dear client please consider that if we have not pre-charge your stay, you will be charge for the total amount upon check in. I did the check out and were possible vto use the installations after. Normal procu. What is not normal and I really dislike was the fact of they do not have a bathroom to take a shower after checking out and before catch a plane. In a 5 stars hotel it never happened to me. With the exception of one lady who checked me in, the staff are NOT friendly. The porteros outside and by the elevators don’t even say hi to guests. There was one of three elevators out of service for the entire five days I was there. Every single time I had to go up/come down it took 10 minutes. 5 minute wait for elevator and then you stop at every floor. I mentioned this on the first day and a receptionist told me it would be fixed that day, it still wasn’t fixed four days later. The breakfast was poor too. Way over-cooked rock-hard bacon and hard-poached eggs. Very disappointing and I won’t be returning. I did not get what I asked for in front desks months earlier, poor front desk service not friendly. Not welcoming at all. Not one smile. I asked for rooms together, a higher floor and better view. If possible. Nothing they need training in customer service and tourism. 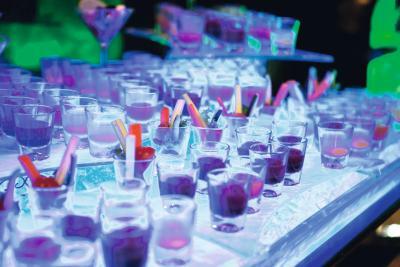 They can ask Leopoldo pool guy for tips. He made the hotel experience excellent. There are 3 lifts but only two were working for the 10 nights we stayed. An inconvenience resulting on a longer than usual wait. 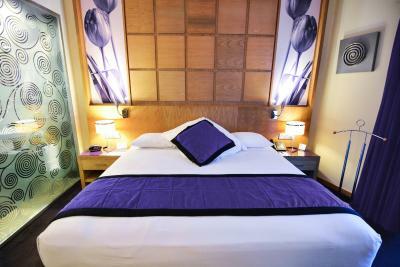 Great hotel, well located within walking distance to shops and restaurants. My wife and I stayed on the 32 floor with amazing views of the city. 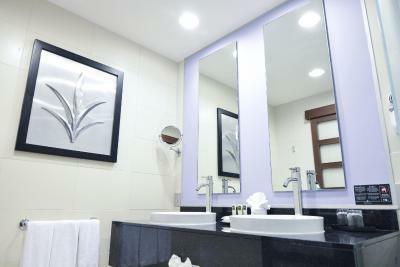 The rooms are modern, clean and all the amenities are provided: tea, coffee, mini bar, hair dryer, iron etc... The ultimate question: Would we return to this hotel? Yes, absolutely, without hesitation. Wifi connection tricky for for than one device. The breakfast buffet that was included was incredible. Staff member offered us a free room upgrade, but after we checked in another staff member said they had made a mistake and we would have to pay extra to keep the upgraded room. 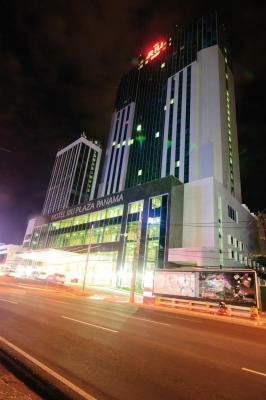 I wouldn't be surprised if this was a 3 star hotel but thought it was low class for a hotel that professes to be 5 star. Hotel decor is very stylish. There was an issue at check in. The hotel wanted to charge me for the room again. I had to call Booking.com and it got resolved. Charged us $12 for a motorcycle spot, even though we were forced to park in a dirty corner full of construction equipment. Internet didn’t work after the first night. Shampoo / soap ran out tight away. Room cards didn’t work. Only one of the 3 elevators work. Overall poor experience, mainly based on the grumpy and unhappy staff. Asked for manager, refused their email or name. The list goes on and on. I rarely complain, I just don’t go back. And trust me I won’t. 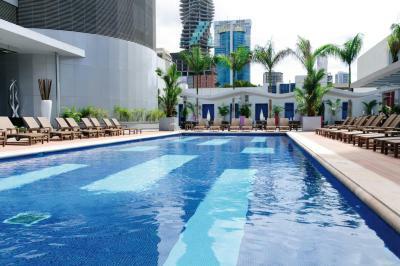 I’m in Panama City 5-8 days per month and know the hotels and area well. Avoid if you have a choice, or wait until the Hotel fixes their issues!